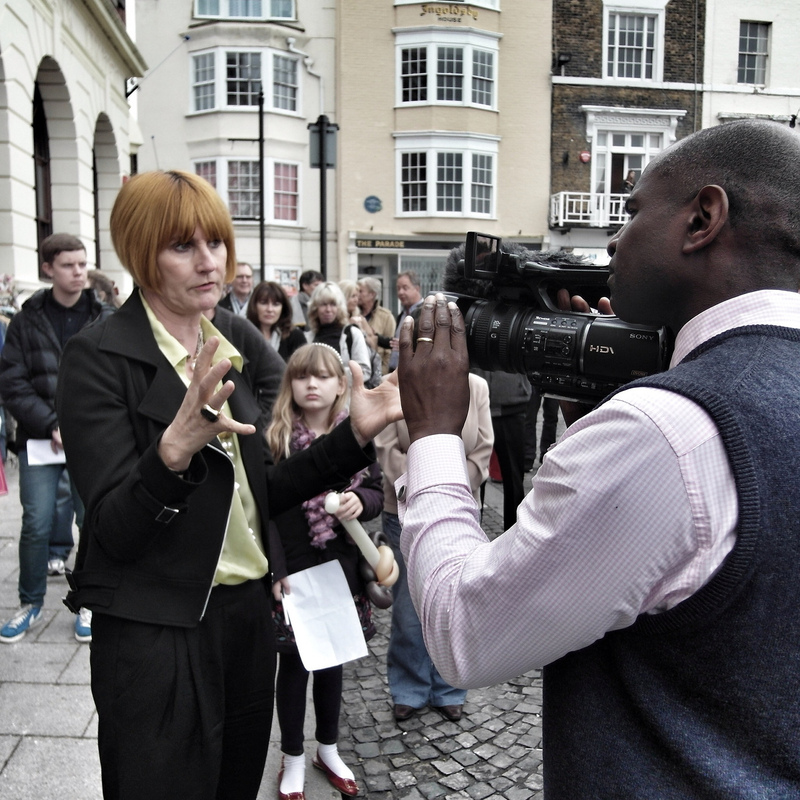 I've been in Margate this morning, seeing what's happening with Mary Portas filming in the town today and opening two more shops, as well as a promotional effort to turn the lower High Street into a pier attraction. 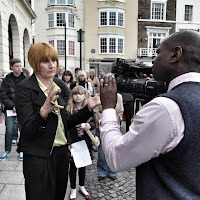 Mary was surrounded by photographers and a film crew. I'm not quite sure what the collective noun is for media 'Luvvies,' not a flock I'm sure but someone is bound to tell me. Here are a few of my photos and the remainder are up on Flickr. I thought it was a lost opportunity to put an aircraft with a banner overhead for a little filming impact but of course, I'm biased. was delighted to see that new shops are now opening on the sea front near Primark, to add to the pizzeria. At this rate of progress, we'll have a thriving new look to Marine Parade within two years, despite the recession and great credit goes to everyone involved in making this possible, Mary Portas and the hard-working Town Team included. If you have a chance today, pop down and have a look but watch-out for the traffic wardens. Really positive activity of this kind around the town is something to be pleased about. Margate was chosen as one of 27 "Portas pilot" areas to receive part of a £1.2m government funding to rejuvenate the High Street. 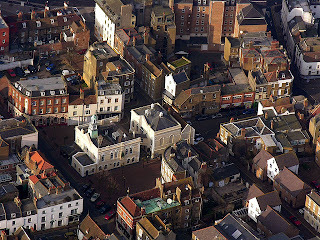 I've added one of my aerial photographs of Margate Old Town. You can find a direct link to my aerial photo library on this weblog's sidebar links. Finally, I've created a little Margate cameo, a photo montage here. "A sycophancy" is the collective term for media luvvies. For real journos, the collective noun is "a lie" and for headline-writers "an exaggeration". No photos of Chas Hodges? Simon I believe the collective known is the same as for clowns, a pratfall.